Lumber | White Plains, NY - M. L. Condon Company Inc.
Our millworkers can produce almost any thickness and width for our customers. Whether you want a ready-to-stain product or something with a rustic appeal, we are prepared to produce your order to almost any specification. From exotic to domestic species, we make sure the materials for your project match your personal style. Take advantage of our high-quality lumber. If you're looking for top-of-the-line lumber, contact M. L. Condon Company Inc. in White Plains, New York. 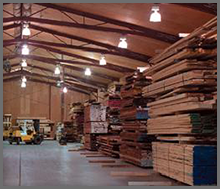 We offer domestic and exotic lumber made of hardwood and softwood, along with marine and interior plywood. Our staff does custom milling and molding for both contractors and homeowners. We have high availability and a vast variety of species. Because wood is a great insulator, it can save you money on energy bills. We are proud to be celebrating more than 100 years of quality service! Established in 1912, M. L. Condon Company Inc. has been a family-owned-and-operated business from the very beginning. Originally based in Westchester County, we expanded in the 1980s to include a large warehouse in Dutchess County, New York. We offer delivery services in our local area and common carrier services outside of that region. We feature new inventory of both domestic and exotic species (including one-of-a-kind pieces) each month. Our associates focus on finding rare items that range from lumber to small burls. Check in daily for updates to our stock. We try to feature new specials each month, and these specials are site-specific and won't last long! Call or email us for availability and information on any special you see here. Learn More About M. L. Condon Company Inc.